Leopold's Crate: What's in a name? Treats of course! Here are some training tips on how to teach your dog its name! What's in a name? Treats of course! Here are some training tips on how to teach your dog its name! 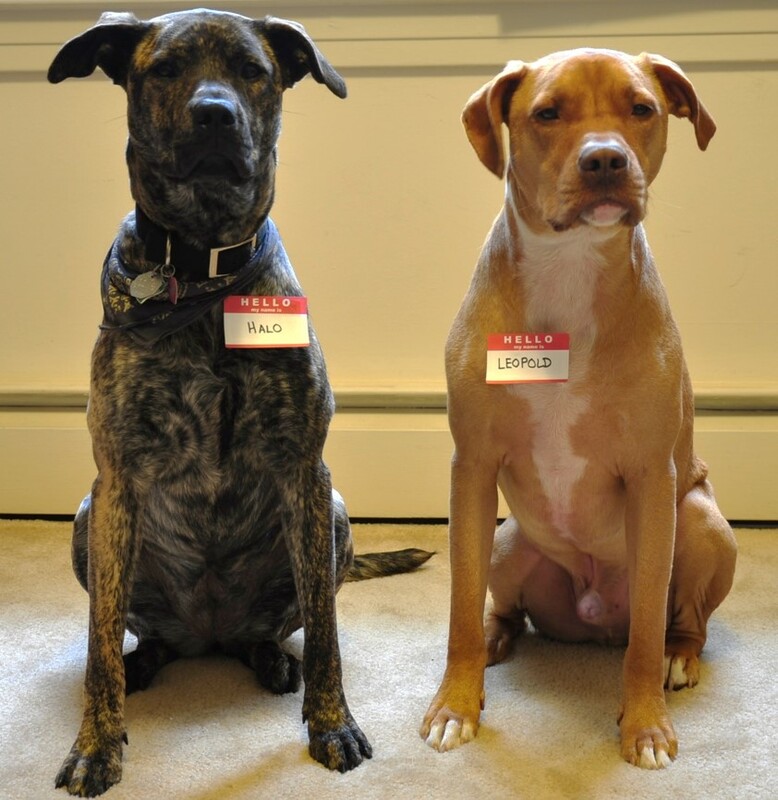 From my experience, most dogs tend to pick up on their name after a while. But if you want to speed the process along, have a thick dog, or want to change the name of a dog you adopted from a shelter (sometimes starting a new life calls for a new name! ), teaching a dog its name is an easy thing to do. step 1: Say your dog’s name, then immediately put a treat in their mouth. step 2: repeat step 1 over and over (maybe ten to fifteen-ish times?) per session. step 4: after a while, try some sessions where you say your dog’s name, and then wait for them to give you their attention (chances are it will be quick), then reward with a treat. Move to a new location (just a step away is fine) and repeat. Your dog is learning to associate its name with a treat at first. Name = treat. Treats get their attention because they’re yummy and desirable. Then they’re learning that when you say their name and they react by giving you their attention, they get a treat. Eventually you can phase out the treats and the name, itself, will just get their attention. Though, I still like to reinforce the behavior every now and then, just to make sure.